Garia, the high-end Danish golf car manufacturer, has released a new Golf model (above left) that weighs 880 lbs. including batteries. Garia’s lithium batteries offer benefits of having no maintenance, reduced weight resulting in less turf compaction, overall lower cost of ownership, a 5-year battery warranty, and a battery life of 10 years, double conventional electric cart lead-acid batteries. The $50,000 Mercedes Benz Style Edition Garia Golf Car (above right) which debuted at The Open in Scotland in mid-June, was recently on display at the Petersen Automotive Museum. Garia is a privately held company, founded in 2005 and is headquartered in Denmark, with a subsidiary in the U.S. and Sales offices in UK and Asia Pacific. Garia golf cart prices start at $15,000. 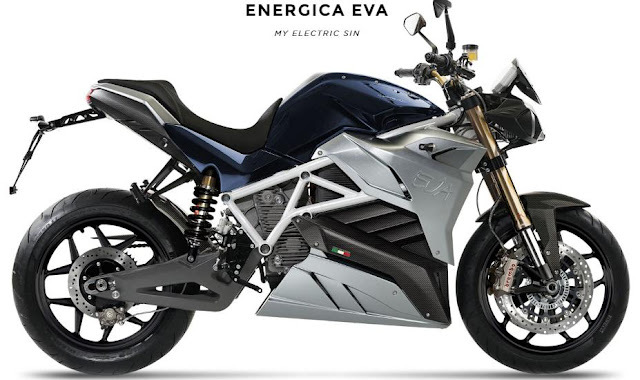 Energica Eva has a 95 horsepower permanent magnet AC oil cooled motor without a clutch or transmission providing seamless acceleration similar to a Tesla car. Energica Eva has a range up to 124 miles (ECO mode) and can reach a top speed of 124 mph in Sport mode. Each component assembled on the $34,000 Eva is made by double layer carbon fiber, three layers for specific reinforced parts, autoclaved. It comes in electric green or dark blue. The streetfighter is fully compatible with commercial recharging stations or can be charged at home. Energica Eva is the only electric streetfighter in the world with an integrated fast charge system on board. Energica, a subsidiary of 46-year old high-performance auto supplier CRP Group, is the first Italian manufacturer of supersport electric motorcycles and are manufactured in Modena, Italy. 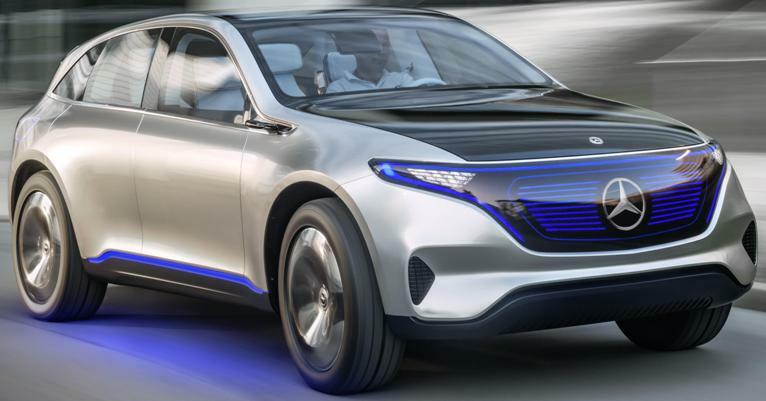 Mercedes-Benz "Generation EQ" concept vehicle, with four individual seats, is powered by 402 horsepower in two electric motors on the front and rear axles and a battery in the vehicle floor, with a range of up to 310 miles. "Generation EQ" accelerates to 62 mph in under five seconds. The Volkswagen I.D. 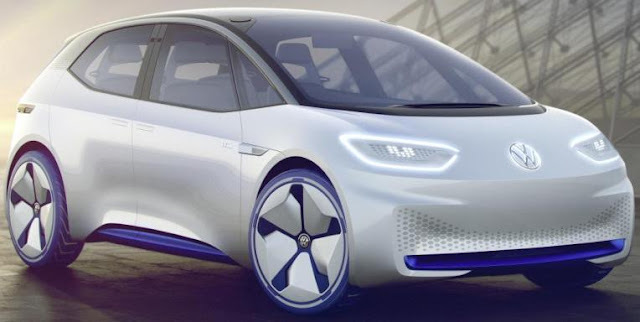 concept car, the first Volkswagen built off the Modular Electric Drive kit, uses a 168-horsepower electric motor and has a range of between 249 and 373 miles on a single battery charge with zero to 62 mph acceleration in less than 8 seconds and a top speed of 99 mph. The rapid charging system brings the battery to 80 percent charged after just 30 minutes. I.D. is the first Volkswagen that is capable of fully automated driving. It is due to go on sale in 2020, fueling Volkswagen's goal of selling a million electric cars a year by 2025. BMW Concept X2 makes its world premiere. The new Honda Civic Type R Prototype, with styling insight into the next-generation Civic Type R, will make its North American debut at the 2016 SEMA Show in Las Vegas, November 1-4, 2016, marking the arrival of the first-ever Honda-badged Type R in the U.S. It will be officially unveiled in 2017. The new 2017 Nissan GT-R NISMO is powered by a 600-horsepower twin turbocharged 3.8-liter V6 engine with independent rear transaxle all-wheel drive system controlled by a paddle-shifted sequential 6-speed dual clutch transmission, which can be driver selected to shift at race car-like speeds. The new 2017 Nissan GT-R NISMO, with 35 more horsepower than 2017 GT-R Premium models, is priced at $176,585 (including destination and handling of $1,595) and is on sale now after the new 2017 GT-R Premium model went on sale earlier this summer for $111,585. 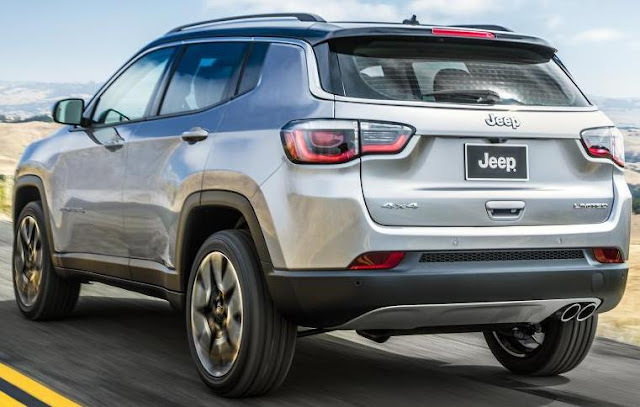 The all-new 2017 Jeep Compass compact SUV made its world debut in Brazil and will be produced with 17 powertrain options for consumers in more than 100 countries around the world. The all-new Jeep Compass will make its North American debut at the Los Angeles Auto Show in November and be available in North America in the first quarter of 2017. The all-new full-size Land Rover Discovery three-row, seven-seat SUV, cutting more than 1,000 pounds from the weight of the outgoing LR4, offers a 340 horsepower supercharged 3.0L gas V-6 engine mated to a ZF eight-speed automatic transmission or a 254 horsepower turbocharged diesel V-6. 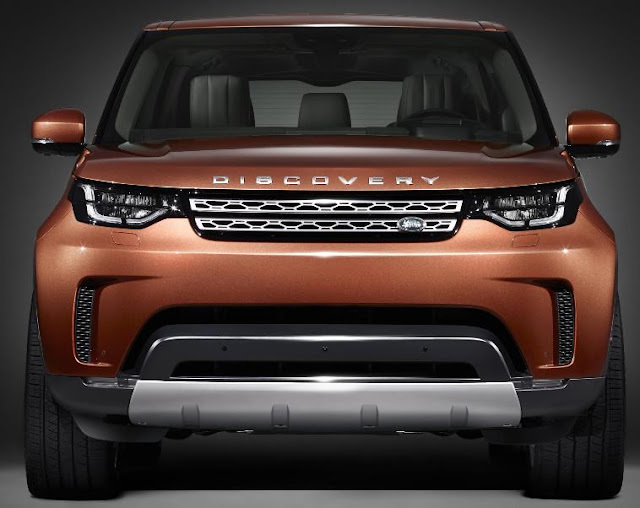 The new Discovery features a flexible seating that’s instantly configurable from Apple and Android smartphones using remote Intelligent Seat Fold technology. In the US, the all-new Discovery has a maximum towing capacity of 8,201 pounds and will go on sale from mid-2017, priced from $50,985 (including the $995 destination/handling charge). The all-new 2018 Chevrolet Equinox, five-passenger, four-door SUV, approximately 400 pounds lighter than the current model, is offered with a 170 horsepower 1.5L turbo engine mated to a six-speed automatic, a 252 horsepower 2.0L turbo engine matched with GM’s new nine-speed automatic transmission, or a 136 horsepower 1.6L turbo-diesel engine linked to a six-speed automatic transmission. The 2018 Equinox goes on sale in the first quarter of 2017 in North America. The 2017 Honda Civic Hatchback, available in five trims, is equipped with a 174 horsepower 1.5-liter DOHC direct-injected and turbocharged in-line 4-cylinder engine in LX, EX and EX-L Navi trims, and 180 horsepower in the Sport and Sport Touring trims and mated to either a sporty CVT (all trims) or a 6-speed manual transmission. The LX with 6-speed manual transmission that achieves 30 city/39 highway/33 combined MPG has a starting price of $20,535 (including $835 destination charge). The 2017 Civic Hatchback joins the 2016 Civic Sedan and Coupe as the third body style in the 10th-generation Civic lineup, arriving in showrooms starting next Monday. The 2017 Mercedes-Benz B250e, has a 177 horsepower electric motor, and, depending on driving cycle, has a range of 87 miles (EPA) with a charging time at 240V in the United States of less than 2 hours and can be charged from any standard domestic power socket. For a starting price of $39,900, the B250e drives from zero to 60 mph in 7.9 seconds to an electronically limited top speed of 100 mph. By pressing a button on the console prior to charging, the maximum charge level of the battery will be increased for the next charge cycle. The higher-capacity charge can provide up to approximately 17 additional miles of range. The 2017 Hyundai Elantra GT, powered by a standard 173 horsepower 2.0-liter gasoline direct injection engine mated to either a 6-speed manual, or 6-speed automatic, transmission, starts at $19,635 (including $835 freight charge) and delivers EPA rated fuel economy of 24 mpg city/32 mpg highway/27 combined mpg. 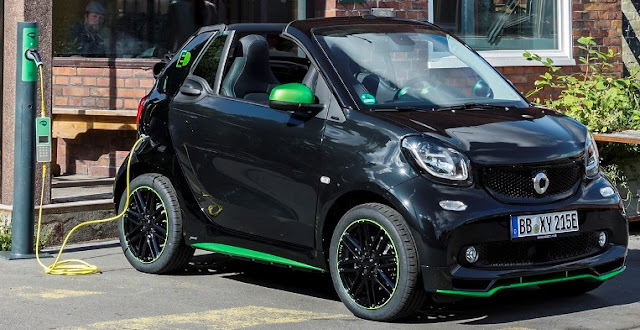 The new smart electric drive (ED) has an 80 horsepower electric motor that works at the rear of the vehicle and transmits its power via a constant ratio to the wheels. A fully charged battery has sufficient power to cover approximately 99 miles with the maximum speed electronically limited to 81 mph to maximize the range. The U.S. range and overall electric motor specifications to be announced at launch. The high-performance on-board charger cuts charge time giving the U.S. preliminary new generation charge time of 2.5 hours vs. the previous generation charge time of 5.5 hours). The new smart fortwo electric drive will be launched in the U.S. in spring 2017 and the smart fortwo cabrio electric drive in summer 2017. The smart forfour will not be available in the U.S. 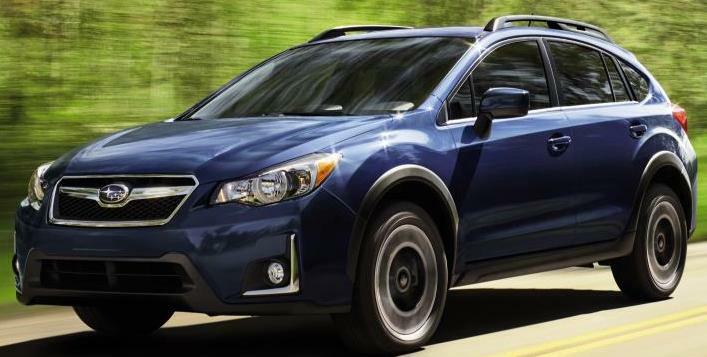 The 2017 Subaru 2.0i Crosstrek with a 148 horsepower 2.0-liter Subaru BOXER engine mated to a 5-speed manual transmission and with Symmetrical All-Wheel Drive starts at $22,550 (including $875 destination & delivery charge). The Continuously Variable Transmission (CVT) has a 6-speed manual mode with steering wheel paddle shifters and is optional on the 2.0i Premium that starts at $23,370 with additional features like the All-Weather Package (heated front seats, heated exterior mirrors and windshield wiper de-icer). Lineartronic CVT is standard on Limited which starts at $26,090. For 2017, a new Premium Special Edition adds additional equipment and is priced at $26,690. The 2017 Crosstrek models will arrive at retailers November 2016. The 2017 Audi A4 powered by a 252 horsepower 2.0 TFSI® engine now has an optional six-speed manual transmission that accelerates the car from 0-60 in 5.7 seconds, a 0.7 second improvement over the previous generation. The quattro® with ultra® technology, and the Sport plus package offers S model performance in the entry level variant with S line interior, dynamic steering, sport adaptive suspension, and 18” wheels. The A4 quattro manual starts at $40,350 (including $950 destination charge). The 2017 A4 is also available with a seven-speed S tronic® dual-clutch automatic transmission with front-wheel drive or available quattro® all-wheel drive. The Chevrolet Bolt EV capable of going an EPA-rated 238 miles on a full charge, has a base price of $37,495 (including destination charge) for the well-equipped LT trim. Depending on individual tax situations, customers may receive an available federal tax credit of up to $7,500 for a net value of $29,995. The Bolt EV will be available at select dealerships in late 2016. Audi of America returns for the sixth consecutive year as the official automotive sponsor and vehicle provider for the Television Academy for the 68th Annual Emmy® Awards. The 2017 Audi R8, with either a 540 horsepower V10 engine or a 610 horsepower V10 plus engine, stars in a new commercial called “Desolation”. The 2017 Audi R8 features Audi Virtual Cockpit, which replaces the classic instrument panel, Audi connect® with 4G LTE connectivity and available Google Earth™ satellite maps. The spot will also air multiple times during the Emmy Awards telecast on Sunday, Sept. 18. “Desolation” was created by Venables Bell & Partners. 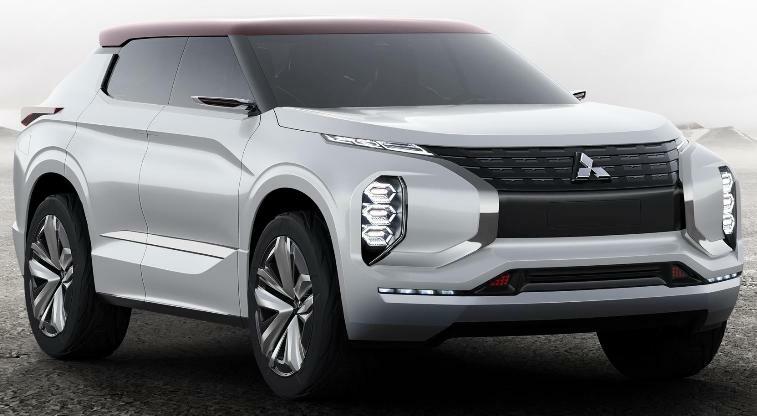 The Mitsubishi GT-PHEV Concept next-generation SUV is powered by three motors with an electric-only range of 75 miles and a combined hybrid cruising range of over 745 miles. The triple-motor powertrain, with one unit at the front and two at the rear, delivers full-time four-wheel drive. The AMG GT Roadster with 469 horsepower and the AMG GT C Roadster with 550 horsepower produced from 4.0-liter V-8 engines with twin turbochargers mated to AMG SPEEDSHIFT® DCT 7-speed dual-clutch transmissions have a fabric roof that opens and closes in around eleven seconds, up to 31 mph. The AMG GT Roadster accelerates to 60 mph in 3.9 seconds and to a top speed of 188 mph and the AMG GT C from zero to 60 mph in 3.7 seconds to a top speed of 196 mph. The AMG GT Roadster has "C" (Comfort), "S" (Sport), "S+" (Sport Plus) and the individually programmable setup "I" (Individual) modes while AMG GT C adds a "RACE" setting. The Mercedes-AMG GT Roadster and Mercedes-AMG GT C Roadster will arrive in US dealers by Fall of 2017. The 2017 Hyundai Sonata Plug-in Hybrid Electric Vehicle (PHEV) has 27 miles of all-electric range and can recharge in less than three hours with a Level-Two charger and has a total estimated range of 590 miles. Sonata PHEV’s Nu engine produces 154 horsepower and 140 lb. ft. of torque and the total system output is 202 horsepower. A 2.0-liter Nu four-cylinder GDI engine coupled with the electric motor allows the Sonata Plug-in Hybrid to operate just like the Sonata Hybrid once the onboard battery charge is depleted. Available now starting at $35,435 (including $835 freight charge). The new 2017 Nissan Sentra SR Turbo has a new 188 horsepower 1.6-liter direct injection gas turbocharged engine that delivers 64 more horsepower and 52 more lb-ft of torque than the non-turbo 2017 Sentra S, SV, SR and SL trims and also offers an enhanced body structure, revised steering system, larger front disc brakes, new 6-speed manual or Xtronic transmission with manual mode and unique suspension tuning. The 2017 Sentra SR Turbo includes a standard power sliding glass moonroof and SR Turbo badging. The available SR Turbo Premium Package includes Blind Spot Warning, Rear Cross Traffic Alert, leather-appointed seating and Bose® Premium audio system with eight speakers. The new Sentra SR Turbo joins the popular Sentra sedan lineup later this Fall in Nissan showrooms nationwide. The 2018 Porsche Panamera 4 E-Hybrid, with standard all-wheel drive and total system output of 462 horsepower (136 horsepower electric motor combining with a new 330 horsepower 2.9-liter twin-turbo V6), always starts in electric mode and continues as a zero-emission vehicle with a maximum all-electric range of 31 miles to a maximum speed on battery power of 86 mph. The Panamera 4 E-Hybrid achieves 0-60 mph in 4.4 seconds to a top track speed of 172 mph. The new 2018 Porsche Panamera 4 E-Hybrid is expected to become available in North America by the summer 2017. Pricing will be announced at a later date. 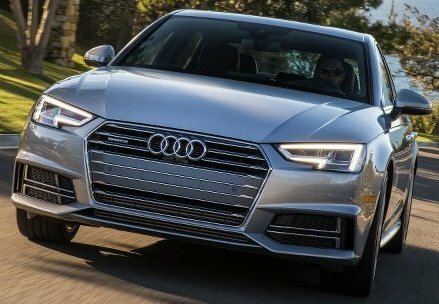 The 2017 Audi A4 ultra FWD, starting at $35,850 (excluding $950 destination charge) for the Premium trim level, offers a more efficient variant of the 190 horsepower 2.0-liter TFSI® engine, to produce a 31-mpg combined EPA-estimated fuel economy (27-mpg city and 37-mpg highway). The A4 ultra’s 2.0T engine utilizes a combustion method with shorter compression and longer-expansion phases. The compression ratio was increased from 9.6:1 to 11.7:1, further improving the engine’s efficiency and allowing for greater power and torque delivery. The A4 ultra goes on sale this Fall. 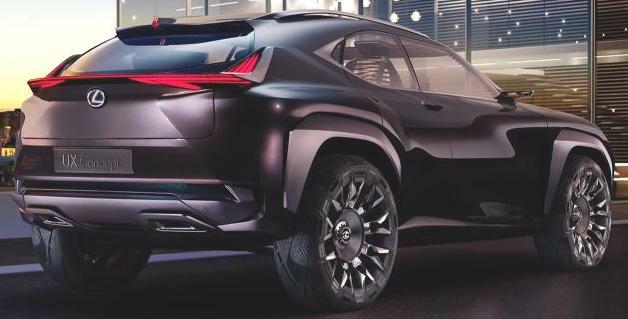 The Lexus UX Concept, will make its world debut on September 29 at the Paris Auto Show. Bentley Motors' new flagship for the Flying Spur line is the Flying Spur W12 S with a 626 horsepower 6.0-liter twin-turbo W12 engine powering an all-wheel-drive system capable of 0-60 mph in 4.2 seconds to a top speed of 202 mph. Customer deliveries start at the end of the year. The Land Rover Discovery full-sized, seven-seat SUV, going on sale in U.S. in mid-2017, will come in Discovery and Discovery Sport models. 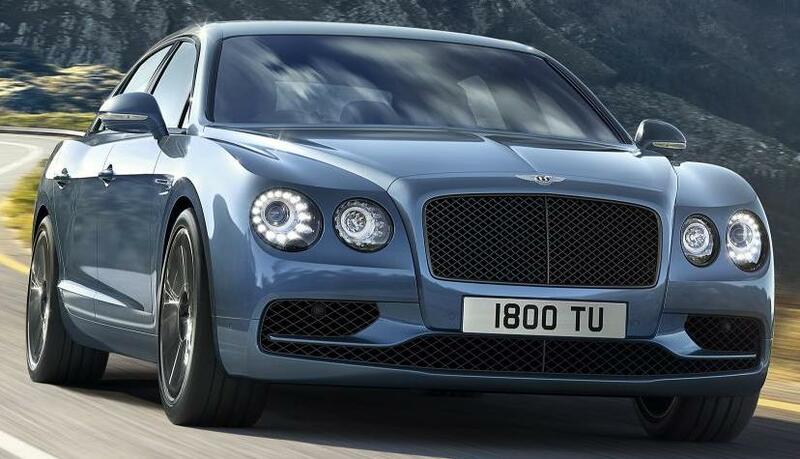 Its world premiere is September 28, ahead of the Paris Auto Show. The Genesis G90 flagship luxury sedan, which will compete at the top of the premium luxury car segment, has a starting price of $69,050 (including $950 freight charge), with an all-new 365 horsepower 3.3-liter twin-turbocharged V6 engine. The G90 also offers a 420 horsepower 5.0-liter V8 GDI engine with a starting price of $70,650 and adds premium amenities. Standard safety & technology features include Automatic Emergency Braking with Pedestrian Detection, Driver Attention Alert, Smart Blind Spot Detection with Rear Cross-Traffic Alert, Lane Keep Assist and Lane Departure Warning, Dynamic Bending Light and High Beam Assist, Multi-view and forward-view cornering camera and front and rear parking sensors. The G90 will be available in Genesis retailers at the end of this month, and is offered in both rear-wheel and all–wheel drive. The new Mercedes-AMG GLC43 Coupe powered by a 362 horsepower AMG-enhanced 3.0L V6 biturbo engine mated to an AMG-enhanced 9G-TRONIC 9-speed automatic transmission with shortened shift times and the AMG Performance 4MATIC® all-wheel drive, joins the Mercedes product portfolio as the AMG-engineered version of the Mercedes-Benz GLC Coupe announced earlier this year. The Mercedes-AMG GLC43 Coupe has AMG Sport Suspension based on the multi-chamber air suspension system, AIR BODY CONTROL, with adaptive damping adjustment, is able adjust ground clearance at the touch of a button and has pneumatic all-round self-levelling to ensure constant vehicle level at all times. The new Mercedes-AMG GLC43 Coupe will have its world premiere on September 28th at the Paris Auto Show and will be available in U.S. dealerships in the first quarter of 2017. General Motors (Chevrolet, Buick, GMC, Cadillac) sold a total of 256,429 vehicles in August, down 5.2 percent from last August while year-to-date sales of 1,962,602 is a decline of 4.2 percent from the first eight months of 2015. Ford Motor Company August sales totaled 214,482 vehicles, an 8.4 percent decline. Lincoln sales rose 7 percent in the U.S. in August versus a year ago with 9,243 vehicles sold. Year-to-date total sales of 1,784,009, is a 1.9 percent increase. Toyota Motor Sales, U.S.A. reported August 2016 sales of 213,125, a decrease of 5 percent from August 2015. Toyota division posted August sales of 182,187, down 4.6 percent. Lexus posted August sales of 30,938, down 7.6 percent. Year-to-date sales of 1,625,158 is a 2.9 percent drop from a year ago. FCA US (Chrysler, Dodge, Ram, Jeep, Fiat, Alfa Romeo) reported U.S. sales of 196,756, a 3 percent increase compared with sales in August 2015 while year-to-date sales of 1,531,247 is up 5 percent from 2015. American Honda reported strong August sales of 149,571 Honda and Acura vehicles, a 3.8 percent decrease over August 2015. Honda Division sales totaled 135,325 down 3.5 percent while Acura Division sales were down 7 percent on sales of 14,246. Year-to-date American Honda sales of 1,094,725 is 3.8 percent higher than 2015. Nissan Group announced total U.S. sales for August 2016 of 124,638, a decrease of 6.5 percent over the prior year. Nisan division sales 114,199 was a 6.9 percent decline and Infiniti sales of 10,439 was a 18. percent drop over last year. Year-to-date Nissan Group sales of 1,055,227 is a 5.4 percent increase of 2015. Hyundai Motor America (Hyundai & Genesis brands) delivered its best August ever with sales of 72,015, 3 more vehicles over one year ago while year-to-date sales of 521,078 is 1.3 percent higher than a year ago. Kia Motors America announced August sales of 54,248, a 7.9 percent decrease from a year ago while year-to-date sales of 442,544 is an increase of 3.8 percent over 2015. Subaru of America reported 60,418 vehicle sales for August 2016, a 14.7 percent increase over August 2015 sales for the best-ever sales month in company history, breaking the previous record set in December 2015 while year-to-date sales of 391,969 vehicles, a 4.4 percent gain over the same period in 2015. Mercedes-Benz USA reported record August sales of 28,404 vehicles, increasing 0.1 percent from the same month last year. Mercedes-Benz Vans also reported best-ever August sales with 3,152, up 39.5 percent and smart reported 353, bringing MBUSA grand total to 31,909 vehicles for the month, up 2.1 percent from last year. On a year-to-date basis, Mercedes-Benz retails totaled 219,704. Adding year-to-date-sales of 22,186 for Vans and 3,439 for smart, MBUSA posted a grand total of 245,329 units in August, increasing 0.7 percent from the previous year. The BMW Group in the U.S. (BMW and MINI combined) reported August sales of 30,500 vehicles, a decrease of 7.2 percent from the same month a year ago. Year-to-date, BMW Group sales are down 9.2 percent on sales of 239,631 vehicles in the first eight months of 2016 compared to the same period in 2015. Sales of BMW brand vehicles decreased 8.0 percent in August for a total of 25,531 compared to vehicles sold in August 2015. Year-to-date, the BMW brand is down 8.3 percent in the U.S. on sales of 204,744 vehicles compared to the first eight months of 2015. Volkswagen of America reported sales of 29,384, a 9.1 percent fall from last August while year-to-date sales of 207,156 is a 13 percent decline from 2015. Separately, Audi of America reported its best-ever August sales of 19,264 vehicles, an increase of 2.5 percent while year-to-date sales have risen 3.5 percent to 134,562 vehicles sold. Mazda North American Operations reported August U.S. sales of 26,109 vehicles, representing a decrease of 12.8 percent versus last year. Year-to-date sales through August are 199,378 vehicles, down 7.7 percent. Volvo Car USA reported U.S. sales of 7,682 vehicles, a 30.9 percent increase versus August 2015 while year-to-date sales are up 29.5 percent year-over-year. Mitsubishi Motors North America reported August 2016 sales of 7,336 down 11.5 percent from August of 2015. Year-to-date sales of 67,160 is up 2.2 percent from 2015. Porsche Cars North America announced August 2016 retail sales of 5,181 vehicles, a 3.5 percent increase compared to August 2015 for the second best sales month in company history. Year-to-date retail sales of 35,767 vehicles is up 2.6 percent from the previous year.